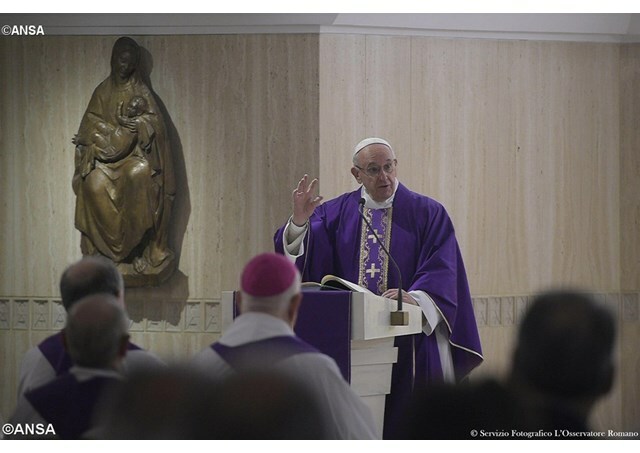 “Do not judge and you will not be judged.” Pope Francis repeated Jesus’ invitation from the Gospel of Luke (6:36-38) in his homily during the celebration of the Liturgy at Casa Santa Marta. Pope Francis reminds us that none of us will be able to escape God’s judgment—we will all be judged, both personally and universally. This reality helps the Church reflect on its own behavior toward one another and toward God. This call coming during Lent is an invitation to the Church for renewal. Beyond not judging, we are called to forgive one another. “Each of us might think: ‘But I never judge, I don’t make myself a judge.’ ” With this in mind, Pope Francis invites us to examine our consciences. For example, when we have been at a meeting, or during a meal, “how many minutes have I spent judging others?” we can ask ourselves. “Judging others is terrible because the Lord is the only judge,” the Pope continues. The invitation, therefore, is to be merciful with others in the same way the Lord will be merciful to us. “We know that God’s justice is mercy.” In order to receive God’s mercy, we must be humble, recognizing that we are sinners. “When we meet God’s justice with our own shame, that is where we find forgiveness,” the Pope says.